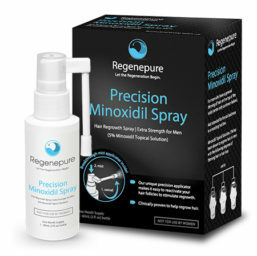 Without regular use of RegenePure Precision, the narrowing of your hair follicles will lead to renewed hair loss. If you discontinue use of the product, new growth will typically be lost within 3 to 4 months. The fine mist applicator spray is designed to make it as easy as possible to continue to use RegenePure Precision to maintain your results.